This blog post was written by our intern, Jenna Jordan. Hello everyone! 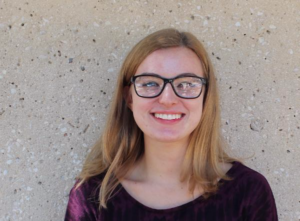 My name is Jenna Jordan, and I am Ketner Group’s new intern. This is my final semester as a public relations major at the University of Texas at Austin and I am so excited to be spending it with Ketner Group. I was born and raised in San Antonio, and stuck close because I am a family girl. Although I only have a brother, I have more than a handful of cousins, aunts and uncles who always find themselves together each weekend. Besides spending time with my family and studying for class, you can find me reading, exercising, swimming, or FaceTiming my incredibly neurotic but lovable dog, Scout. While I’ve stuck close to Texas all my life, I do have the travel bug and hop on a plane whenever I have the chance. This summer, I was lucky enough to visit Cancún and New Orleans, and I am already making plans for Europe next year. Before joining Ketner Group, I interned with a local Austin nonprofit and assisted the founder with coordinating events, increasing membership and running social media. This past spring, I was an intern for a lifestyle public relations company here in Austin. With my team, I juggled about eight restaurant and hotel clients, all in different stages with distinctive needs. I got to try my hand at pitching to media and was included inclient communication, which was an insightful way to see both the client and the agency side of public relations at work. During my freshman year at UT, I was convinced I wanted to be a publicist for celebrities in Hollywood, but once I realized the number of long nights that came with that career path, I turned my attention to what I was learning in class. On top of public relations, taking business and creative writing classes showed me that I not only love writing, but I also love marketing, and seeing how marketing and public relations interact. Coming from an office of less than 50 people, I didn’t think I would join an even smaller agency – but I’m so glad I found Ketner Group! Just by our team meeting on my first day, I can tell everyone here is hands-on and interested in the work they do. I’m so excited to kick off my semester with B2B and retail technology, especially with the holiday season fast approaching!